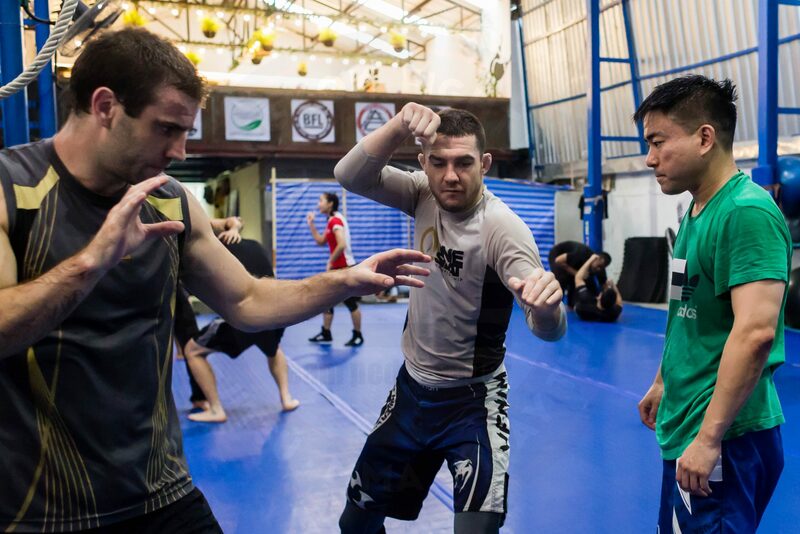 Mixed Martial Arts (MMA) is the fastest growing sport in the world. 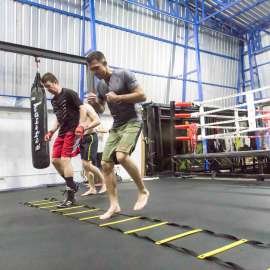 MMA is a highly effective combination of several martial arts, typically but not exclusively including; Brazilian Jiu-jitsu, Boxing, Wrestling, Muay Thai and Judo. 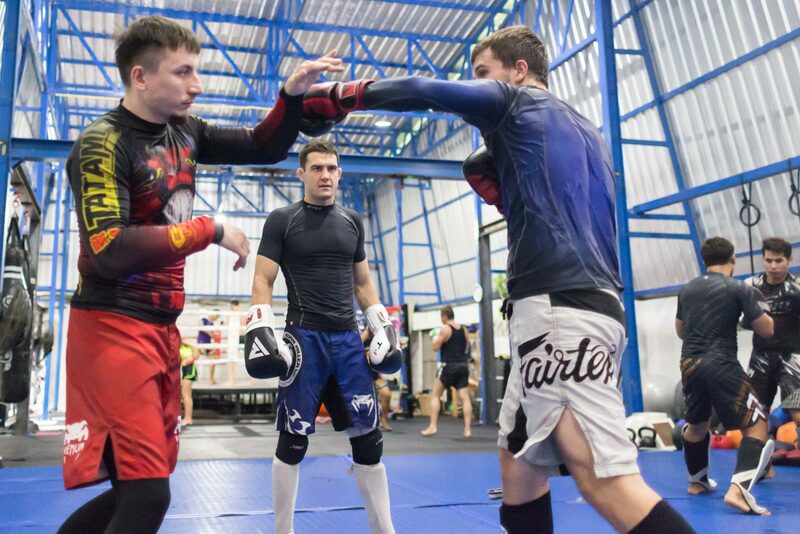 Professional and amateur MMA fight leagues can now be found around the world. Combat usually takes place inside a chain-link many sided cage (the most famous promotion Ultimate Fighting Championship (UFC) own the Octagon shape and name), and sometimes in a traditional boxing ring. 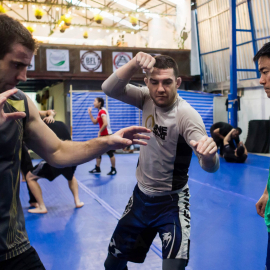 Bangkok Fight Lab offers instruction in MMA taught by champions and professionals in Muay Thai, Brazilian Jiu-jitsu, Mixed Martial Arts, Boxing, Wrestling, and No Gi Submission Grappling. 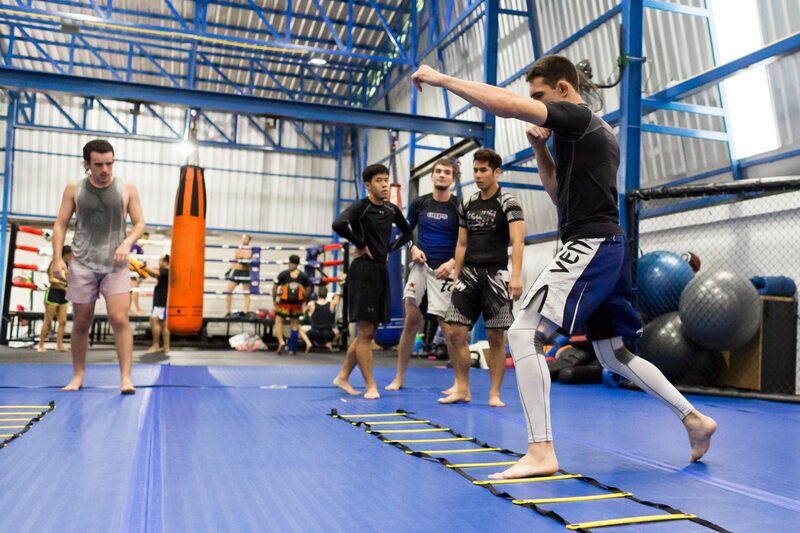 Our coaches are also active competitors and we have a strong Pro Team who train daily and compete often. 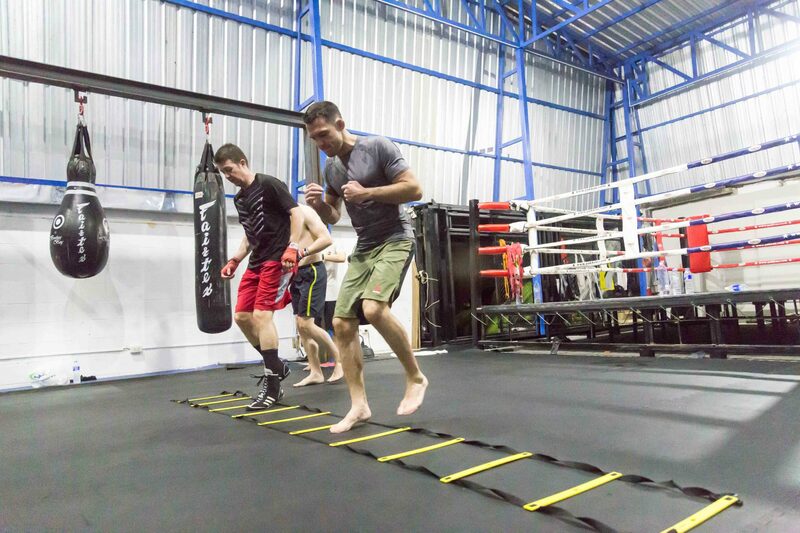 Training in the Invite Only MMA sessions is by coach discretion only. You will need some prior experience of at least one martial art or combat sport. Please talk to us if are interested. If you want to apply to join our pro team as an athlete and represent Bangkok Fight Lab in amateur or professional MMA events, please apply here to be considered.